This easy to use classic carnival game is fun for all ages with everyone who plays winning a prize. 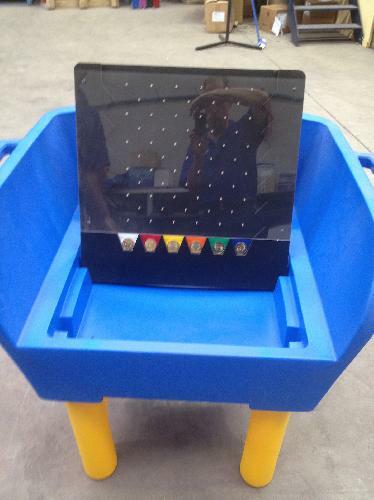 Players place the Plinko coin at the top of the insert so that the coin will drop, allowing it to bounce through the various pins. The player wins the prize associated to the coloured pocket where the coin lands (prizes not included, to add 100 prizes additional $50).